And oh my, I LOVE this pin! I was VERY doubtful this would work and was so excited when it did. The colors were so bright and the dying process was QUICK! 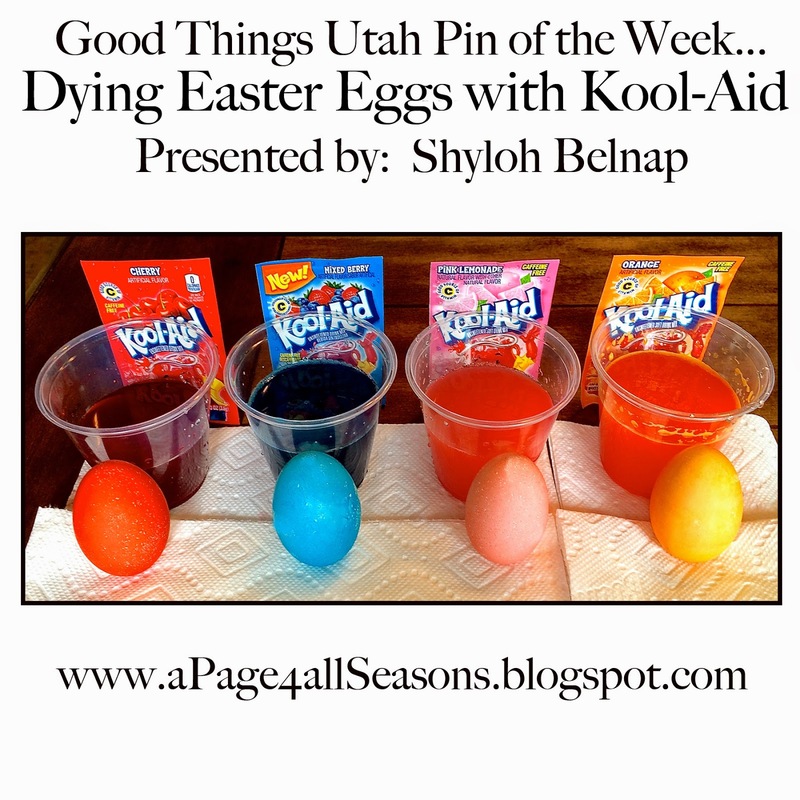 Mix 2/3 Cup water with a packet of Kool-Aid. 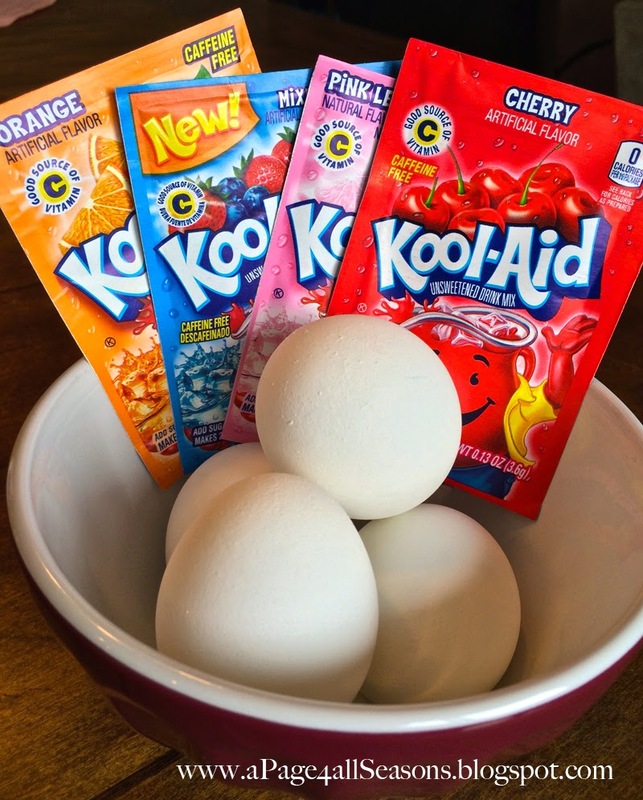 No vinegar is needed for these eggs because there is Citric Acid in Kool Aid which helps the color.